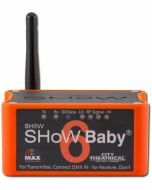 SHoW DMX Vero Net and SHoW DMX Vero wireless DMX are the outdoor versions of City Theatrical's multi award winning SHoW DMX family, designed to facilitate the outdoor lighting of building facades, monuments, bridges, streetscapes, and any other object that needs outdoor DMX data. Able to span great distances with unparalleled fidelity, SHoW DMX Vero Net and SHoW DMX Vero give lighting designers a wide range of tools to make outdoor lighting easier and more artistic. Now both SHoW DMX Vero Net and SHoW DMX Vero are equipped with New Maximum Bandwidth Technology. 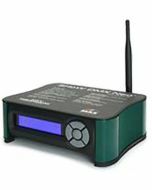 SHoW DMX Vero Net and SHoW DMX Vero are SHoW DMX Neo Transceivers, and can be user configured to be either transmitters or receivers. 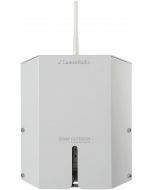 Designed for contractor installation, configuration of broadcast parameters is done via switches inside the weatherproof housing, or via externally via RDM.